Ernst Hillers, brother of the owner of the Hillers Auto Museum (which put out a videotape of microcars well known to enthusiasts) was a dealer in auto parts. 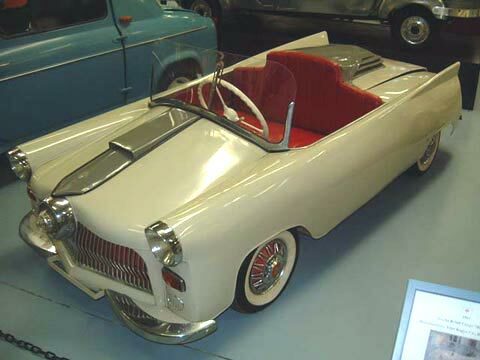 He built this car for his son using readily available microcar parts. The chassis was of ladder design in steel tube, and the body in 1mm steel. Before finally finishing, he redesigned the frame to incorporate independent suspension and hydraulic drum brakes. As a consequence of this, the bodywork had to be altered and lengthened by some 80cm. It was never intended for road use. Weight: Electrics: 12 v 4 Wheels: 4.00 x 8"